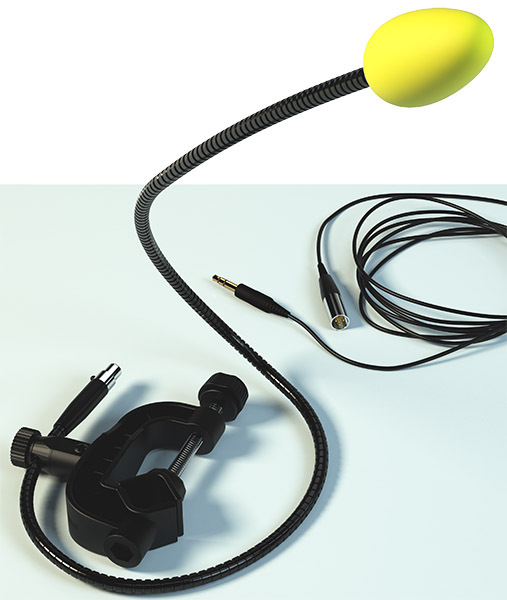 The longest available (75 cm or 30″) portable mic with up to 4 possible uses! 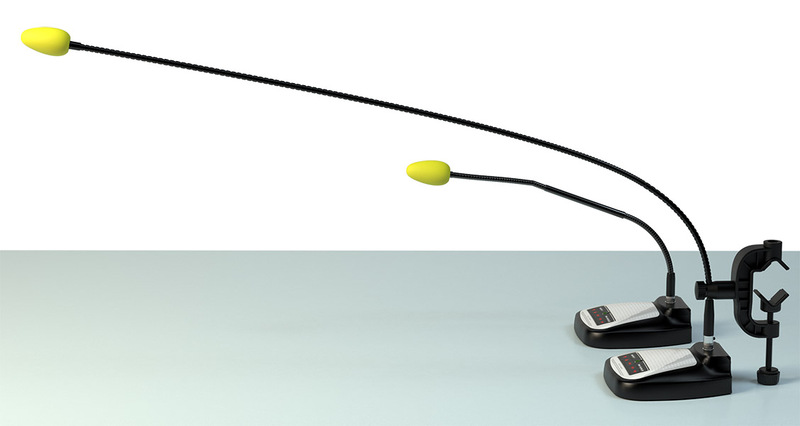 Four operating modes: (4) Connected to any TableMike base to get the longest (75 cm or 30″) Desktop mic in the market –note the heavy clamp as counterweight if needed! 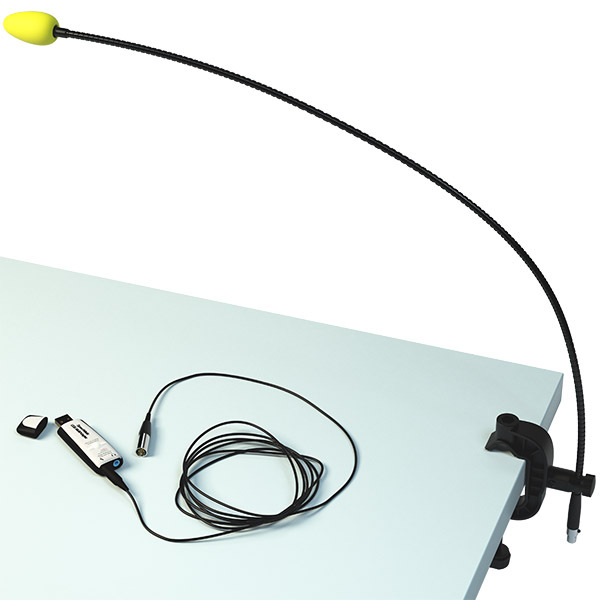 An innovative very long (75 cm or 30″) and portable microphone with up to 4 possible working modes: (1) Attached to a table, desk, monitor, workstation or wheelchair with the detachable proprietary clamp; (2) Winded on top of any surface, (3) Around the shoulders (without the clamp) and (4) Connected to any TableMike base. Ideal complement for the SpeechWare USB MultiAdapter (which is not included), providing identical performance as the award-winning TableMikes but in a more versatile and portable format. 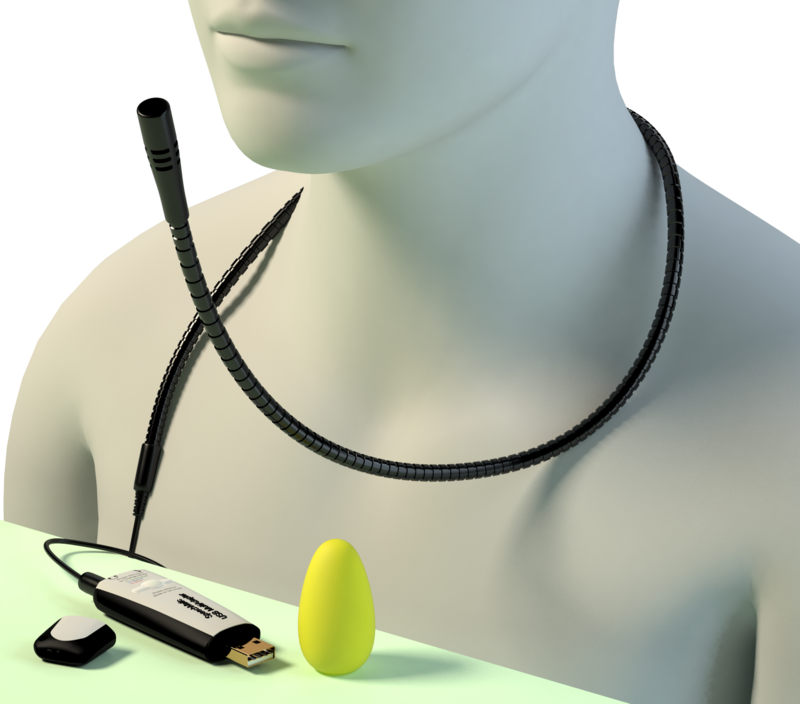 The longest available (75 cm or 30″) portable microphone in the market, with a high sensitive noise cancelling unidirectional capsule and a detachable cable with one mini-XLR professional audio connector. Thin (7 mm), lightweight (115 g. or 4 oz), easy to bend but at the same time stiff boom. Ideal for desktop (with any tower) or portable (notebook or tablet PC) use, with any USB audio card. Exceptional performance, identical to the TableMikes, with the optional SpeechWare USB MultiAdapter. Up to 4 possible uses or working modes thanks to the detachable proprietary clamp and cable. Two-year warranty. 3. 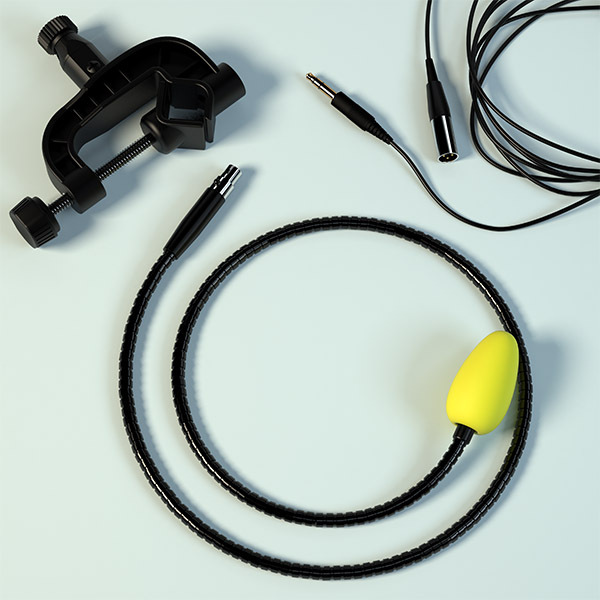 The detachable cable with professional mini-XLR connectors. * Connected to any TableMike base with mini-XLR connector. * Optional SpeechWare USB MultiAdapter for identical performance as the award-winning TableMikes. * Compatible with Dragon NaturallySpeaking®, Microsoft Speech for Windows®, Google Speech®, Skype®, VoipBuster®, etc.